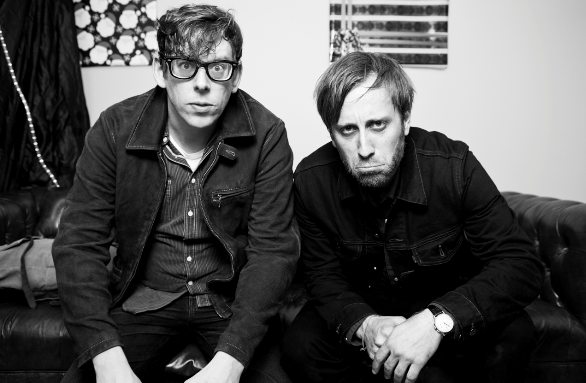 The Black Keys released the second track off of their new album 'Turn Blue' today. They kept the pace slow and left many of us wondering when they're going to bring it heavy like we've known them to. After hearing the psychedelic beat of the first released track 'Fever' last month, I thought it was a set up to the upcoming tracks that would be heavier and more accustomed to what we've known from the duo. However, with the title track they went slower and brought back vibes from Attack and Release. Many people may think that The Black Keys have gotten soft and have lost their edge after hearing the first two tracks. I think the opposite. I think they've just returned to the albums that they were making right before they hit mega-stardom. On 'Magic Potion' and 'Attack and Release' they made whole albums. Sure, you could pull out three or four major rock hits, but for the most part, each song fit into the landscape of the album. They very well could be setting up the upcoming album the same way. 'Turn Blue' like 'Fever' shows a psychedelic vibe. After listening for the fourth or fifth time, I realized The Black Keys have reverted back to the place that they began discover themselves. 'Turn Blue' belongs on the A side of a Steve Miller Band album. It could easily be dropped into 'Book of Dreams' somewhere between 'Jet Airliner' and 'Swingtown' It holds the same complexity and groove that lulls you and moves you and the same time. Its a sit down, chill out and close your eyes type track. I still expect the boys to bring it harder on the remaining tracks of the album, but I am not disappointed in the direction this album is going. It shows they can give a crap about mainstream hits. They can make mainstream on their own. They don't need mainstream to make them. The title track 'Turn Blue' proves that point.